The only curative treatment for patients with biliary tract cancers is surgical resection; however, a majority of patients will have disease recurrence, explains John Gordan, MD, PhD, creating a population with a high unmet need that researchers attempting to address. FGFR genetic alterations have been identified in a subset of patients with biliary tract cancers and therapies for this molecular target are in development. For example, the antitumor activity of BCJ398, a pan-FGFR kinase inhibitor, is being explored in an ongoing multicenter, open-label, single-arm phase II study in patients with advanced or metastatic cholangiocarcinoma (NCT02150967). Additionally, the IDH1 inhibitor AG-120 is being investigated in a multicenter, randomized, double-blind, placebo-controlled phase III trial in patients with previously treated unresectable or metastatic cholangiocarcinoma (NCT02989857). This study aims to determine progression-free survival with AG-120 versus placebo. 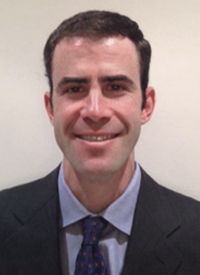 In an interview during the 2018 OncLive® State of the Science Summit™ on Gastrointestinal Cancers, Gordan, an assistant professor, Division of Hematology/Oncology, at the University of California, San Francisco (UCSF) Helen Diller Family Comprehensive Cancer Center, discussed the challenges of treating patients with biliary tract cancers and novel therapies in development. OncLive: Please provide an overview of your presentation on novel therapies in biliary tract cancers. Gordan: My presentation was focused on what lies ahead in the treatment of biliary tract cancers. Unlike other gastrointestinal malignancies, where we have established paradigms for second- and third-line therapy, biliary tract cancers are quite rare and genetically complex. As a result, their progress has been slower. Things have changed dramatically in the last 2 or 3 years with the broad adoption of molecular diagnostics. We are now defining therapeutically targetable subsets in this disease for which we have potent and active agents. The agents that I discussed in detail are the FGFR2 inhibitors, which are active in a subset of patients with oncogenic fusions of the tyrosine kinase receptor to arrange different binding partners. I also discussed IDH1 inhibitors, which are showing potency in 15% to 25% of patients with cholangiocarcinoma who have an 1DH1 mutation. These agents have been dramatic in their application. It is hard to communicate how exciting it is to offer anything in the second-line setting to a population that has been in such dire need. The clinical results that are coming out of phase I/II studies are encouraging, but also remain quite preliminary. I want to encourage providers to undertake molecular diagnostics earlier in the evaluation process so that these mutations are found and patients can enroll in clinical trials. There are other less common mutations that are seen in cholangiocarcinoma, such as the BRAF V600E mutation or HER2 amplifications. These are treated similarly to other malignancies, but questions remain for investigation in further clinical trials. There are currently basket trials that are investigating a subset of these patients. Finally, it is important to remember the role of mismatch repair deficiency (dMMR) as a predictive biomarker for the use of PD-1 inhibition, which is now well accepted. I would also encourage people to await upcoming results in the next several years for the use of PD-1 inhibition and dMMR cholangiocarcinoma, but we do not know if it will be as effective. What are the next steps with FGFR2 and IDH1 inhibitors? In the setting of FGFR2, there are a many ongoing molecular developments. There are different companies in the field who have different agents. The molecular development in this area goes back for quite a while with pan-FGFR kinase inhibitors, which has some efficacy towards FGFR2. Next, we had second-generation, more specific agents and now third-generation covalent inhibitors that are more potent and less prone to resistance. The path for development is simply prioritizing between classes of drugs and identifying which ones are the most potent. That work remains primarily in phase II development. Since the early IDH1 inhibitors were so potent, this class of drugs is further along. There is a phase III placebo-controlled study, which is pivotal in looking at IDH1 inhibition in cholangiocarcinoma. What remains to be the biggest challenge for patients with this type of cancer? Unfortunately, even with these areas of progress, there is still a lot of work to do. These molecular targets are exciting, but they are only present in 30% to 40% of patients. This means that there is a large number of patients who are underserved by molecularly targeted therapy and who do not have specified options. Understanding those patients has been its own separate challenge.